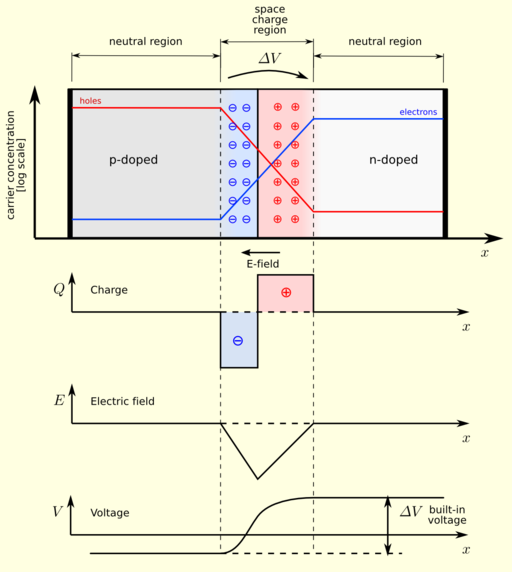 A p-n junction is the junction at the interface between two differently doped layers of semiconductor material – one layer doped with a positive-type dopant (see p-type semiconductor), the other layer with a negative-type dopant (see n-type semiconductor). An electrical field is established at the p-n junction, which gives direction to the flow of heat- or light-stimulated electrons. See also solar cell.